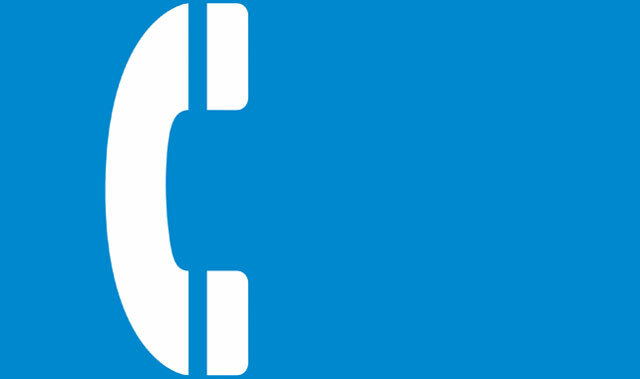 From 1 April, it will cost residential consumers 5,3% more per month to lease a phone line from Telkom. Line rental will increase from R189 to R199/month on that date. Meanwhile, a residential telephone line installation will rise by 5,5%, from R690 to R727,95. The new prices are part of Telkom’s fixed-line tariffs for 2017, which are regulated by the Independent Communications Authority of South Africa. More details about residential charges are included in the table further down in this article. The increases come despite a continued slide in the number of fixed lines in service. In November, Telkom revealed that the number of lines in service had declined to below 3,1m at the end of August 2016, a year-on-year decline of 7%. The new line rental prices will also put upward pressure on broadband digital subscriber line (DSL) fees as customers are forced to pay basic line rental to Telkom in order to receive DSL. DSL rental fees, which exclude Internet access — this must be bought from an Internet service provider — remain unchanged at R165, R299, R399, R425, R499 and R599/month for 2Mbit/s, 4Mbit/s, 8Mbit/s, 10Mbit/s, 20Mbit/s and 40Mbit/s speeds. Installation of a broadband DSL now costs R792, while a self-install option (without a technician on site) costs R469. The price of business line rental will rise to R262,28/month on 1 April, an increase of 5,4% from R248,95/month, Telkom said. Installation now costs R1 026,95. “In 2015, we took a decision to file our annual tariff adjustment in April instead of August to coincide with Telkom’s financial year-end,” said company spokeswoman Jacqui O’Sullivan. “In 2015, we filed in the month of May and in 2016 we filed in the month of April. Cannot help but think that telkom business model is seriously flawed. With the rollout of fibre more and more people are going to be cancelling their adsl lines as it becomes available. With it they will cancel their landline as they only really keep that because it is bundled with the adsl. There is no large scale increase in new landline installations so no growth into the future either. Their own fibre options are more expensive than others in the sector. If anything telkom should be discounting landline rentals and even more so if it is bundled with an adsl line. Their mobile /data offerings are better value than fixed line as well. Cannot see where their future growth is going to come from. Even their brand in the marketplace is losing its value as subscribers just see a business intent on charging more for less. It’s sad, but a bit funny – a lot of people don’t realise that Openserve = Telkom – I’m close on the ground to FTTH roll outs in my area, and I’ve heard more than one person remark that Openserve is as useless as Telkom. When I tell them it’s the same they aren’t surprised. Hope they didn’t spend too much on that rebranding, it hasn’t fooled many people. Yep – For R200 they should be offering a line + adsl + a very basic service. Through fighting LLU they have forced the rest of the sector to accelerate FTTH roll outs, and while FTTH has a price war driving prices down, Telkom hike their inferior copper prices. Maseko’s great at hacking jobs, cutting costs and shuffling business units around, but really seems clueless on the telco side of things. I’m sure when we look back years from now at the broken husk of Telkom, we’ll see just how much damage he did by only concentrating on that bottom line and share price. Lunacy writ large! Only an ANC stooge could dream up a suicidal business move like this Maseko massacre! Are there no longer any adults in Telkom? Surely some semi sane person at head office who can count past ten can see the stupidity of this rental increase? J6P can now simply cancel his land line and go directly to a 3G service for basically the same outlay as this Telkom offering in addition to not having worries as to cable theft. Stick to number plate cloning pal, you are on shaky ground elsewhere that for sure. I Pay for asdl why must we pay a line fee if i only use asdl . This is so unfair , it seems this is the only way they can survive . Uh, because the ‘line fee’ is 99% composed of providing and supporting/maintaining the copper line (commonly referred to as a ‘telephone line’ whether or not there is a telephone connected) required to transport the analog-encoded signal sent by your modem to the DSLAM. ‘DSL rental’ doesn’t cover anything related to the copper itself, only from the port on the DSLAM up to the edge service router (including the backhaul). So no, it is not unfair. If you don’t pay for the costs of the copper you use, exactly who *should* pay for it? Some, but not all. Please list a publicly-listed fibre network with deployments in more than 3 cities that is cheaper than Telkom fibre. MTN is more expensive than both Telkom FTTH and DSL (including all costs) and provides less value. Vodacom fibre is more expensive than Telkom fibre (I haven’t compared to DSL myself, but probably also DSL). I believe bundle prices (telephone + calling plan, or line plus DSL and internet account) will effectively be unaffected. So, yes they are. Resellers must make their own decisions on DSL and/or internet pricing. At some usage levels, yes. Part of this will apparently be addressed by a change to the DSL pricing model which currently effectively subsidises IPC prices. Why does the number of cities where Ftth companies have deployments have any relevance? Openserve Ftth is 20-30% more expensive for like services than DFA, fibrehoods, Vumatel, Frogfoot and I’m sure many others. Costs are higher when covering anything but the 3 major metros, due to lack of ubiquitous pre-existing shared backhaul fibre, and higher costs (both operational and capital) for dispatching technicians. The pricing in all of these locations is the same as in Bryanston etc. (you can’t really say they cover Cape Town or Durban …). Obviously there would be higher costs in deploying/supporting a deployment in East London, and probably longer return-on-investment, so such deployments effectively need to be subsidised by more ‘attractive’ areas if the pricing is the same in all areas (as it is with Telkom/Openserve). Thus, an operator covering more than the 3 or 4 big metros would necessarily be more expensive (assuming similar efficiencies and profit margins). Telkom/Openserve is a much larger organisation than Vumatel and the like. There is no way that it costs them more to install and manage like-for-like infrastructure. In fact, since they own the backhaul, and don’t need to lease from a third party, their costs should arguably be even lower. The fact that the returns in certain areas is lower is a fact of life, and Telkom should learn to manage efficiencies. As long as their pricing is higher, and smaller players can be more nimble with better service, the “subsidising” areas will simply choose alternatives. 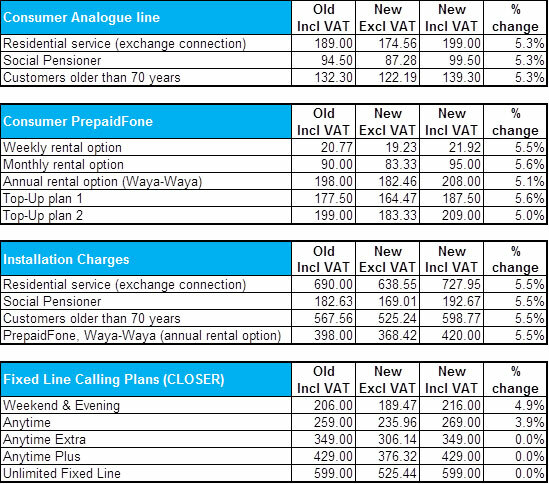 Telkom/openserve FTTH pricing has more to do with current DSL pricing than anything else. Well, unfortunately, Telkom has to satisfy more strict BEE requirements, and is unfairly influenced by trade unions (compared to smaller companies which don’t have the same requirements/problems), so I am not sure your statement is necessarily true. But, you said like-for-like. So, if Telkom limited its roll-out to equivalent areas, yes, the costs could potentially be lower. But, they are not, and isn’t that a good thing? That depends. If only Telkom services run on the fibre segment they need to fund the full cost, whereas in larger metros it is possible to share fibre infrastructure (Telkom/Openserve do this, sometimes for path diversity) operators don’t need to fund the full cost, because the owner should be charging each operator/customer less than the full cost. Yes, there are problems with the DSL pricing model (assumptions that were valid in the pre-IPC days no longer hold), and since the delivery method (from the BNG onwards) is the same for DSL and FTTH (e.g. FTTH and DSL data are inseparable on the ISPs IPC connection) the problem extends to FTTH. Rumour has it that Telkom Wholesale/Openserve will be changing the model (but ISPs will need to do some work to adopt and/or migrate to the new model, though it should allow them to offer better pricing on high speed/low usage products) early in their 2017-2018 financial year, to address this issue. Hopefully then the Telkom products will be closer to some of the other players (but there are of course other requirements Telkom has to satisfy being publicly traded and a dominant player in the market, which smaller operators don’t have to).